Expanding into Africa. Everyone talks about it but very few know how to do it and have been brave enough to tackle the challenge. Companies based in South Africa and Internationally, realise that Africa is the next frontier when it comes to expanding into relatively untapped markets. 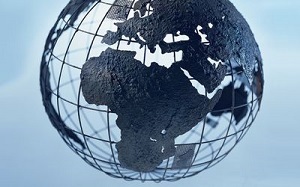 It all sounds simple enough; set up an office in your country or region of choice and begin to trade. From my experience of doing business in Africa, I have come to realise that first and foremost you need to find the right executives / Individuals who have had experience and dealings in Africa to even have a shot at success. Experience and connections go a long way in Africa. Connections on the ground are forged through personal relationships at the proverbial rock face. Africa is a continent like no other. How you do business on this continent compared to how you do business elsewhere is literally worlds apart. I am sure there are many countries where doing business is a real challenge but if you are expecting to conduct business on a “first world” basis in most African counties then you are in for a rude awakening. I like to use a phrase when describing Africa. It is the “Paradox of Plenty”, from its minerals to its untapped human potential, Africa (if you know how to do business there) has the potential for success that is virtually unlimited. What companies need to do is identify individuals or executives who are able to adapt and thrive in these difficult environments. One of the biggest challenges is sourcing these executives. This is a scarce resource and as a result the resource comes at a very high price. Relocating top financial executives into Africa is an extremely difficult and often very costly exercise. Companies are paying experienced financial directors and financial managers 50% more than what they are currently earning as an incentive to get them to relocates and even then working in Africa is not as appealing as working in London or Johannesburg for a variety of reasons which makes retention of staff another difficult aspect. We believe that there is an alternative to the above. If you have good systems in place on the ground and good functional accountants looking after the day to day debits and credits you can utilise part time / interim financial managers / directors that are prepared to travel that have had exceptional experience in Africa that can get the job done at a lower cost than a full time resource based on the ground. Understanding the African environment is of key importance and is why using a part time financial manager that has this experience within these environments is critical. The experience gained on the ground in these African countries is unique and should not be confused with experience gained in developed countries and South Africa for that matter. There is a severe lack of infrastructure on the continent. Many road, rail and air networks are only being developed now. Whilst this does present a challenge, a part time finance manager that has experience within the African continent, has the knowledge and experience to best leverage these infrastructural constraints. They will be aware of the costs associated with operating businesses locally and can advise the company leadership of the best way to establish operations and develop realistic business plans having taken all the relevant nuances into account. Part time financial managers with African experience can implement effective and realistic profit planning strategies to chart the most efficient and effective volumes for your business, by looking at your input costs, sales prices and margins as well as tax planning elements that are specific to that country or region. It takes a while to build up a reliable network of partners and suppliers in any country or territory, but in Africa, even more so. Experienced finance managers with African experience will have developed a network of individuals and organisations that are credible and worthy of conducting business with. This experience is invaluable as these networks will have been assembled over time on a trial and error basis. There are companies that offer part time financial executives for African assignments. Do your homework, there is no point in rushing the process. What is the role of the modern day finance manager?